Don't let another issue slip through the cracks. Report issues along with all its attributes, assign it to team members and keep your customers in the loop if you need to. Have a summary view of issues and export files if required. Log your working hours with timesheets and track your progress with reports. Log all details of an issue, including severity and classification. You can even attach files for a more complete description. Or, if you're in a hurry, quickly add an issue's basic info and assign it to a user directly from the dashboard. Tag other users to notify them if an issue's status has changed. Stay productive by importing issues in bulk as spreadsheets. Have a consolidated view of all the issues, update their details, and export them in the file format of your choice (xls or csv) - all from one place. 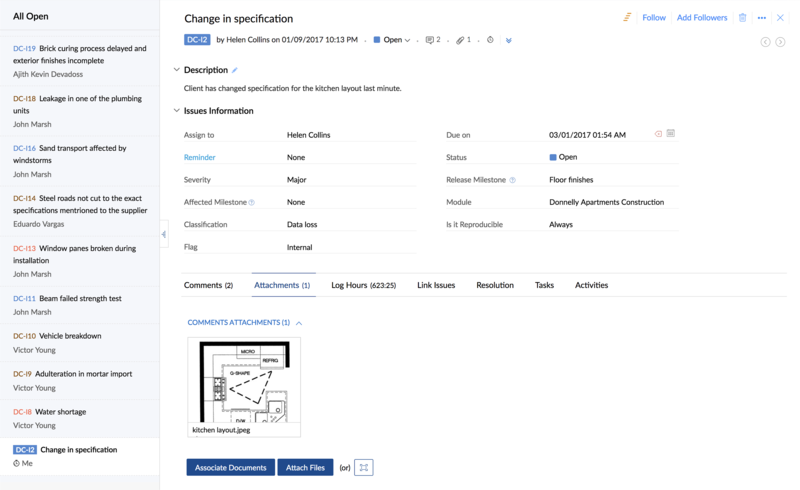 Look at issues using predefined views or create your own based on criteria that matter the most to you, like classification and priority. Simplify issue tracking by having a concise look at only what you want. 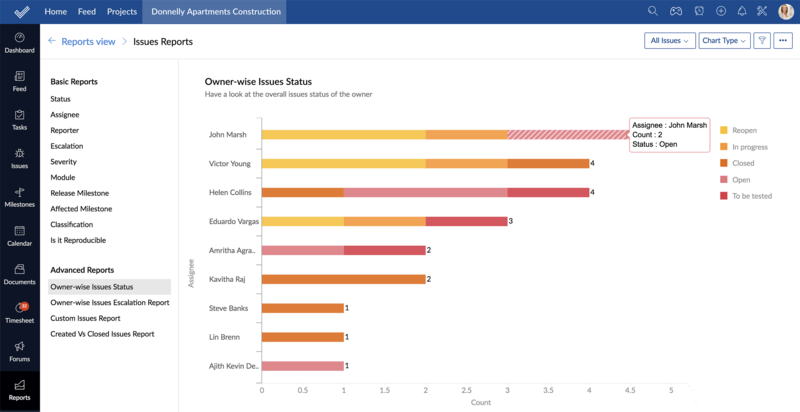 Choose among vertical or horizontal bars, pie or donut charts and review your work status with our basic and advanced suite of reports. Group issues under various criteria like due date and severity and prioritize your work accordingly. Add your billable and non-billable hours spent on each individual issue and export the timesheet data if you need to. Invoice your clients based on your time logs. All committed changes in Bitbucket and GitHub can be viewed as Changesets within the tracker, along with details like timestamp, files modified, developer who updated it, commit message and even the issue IDs, if any have been associated.